Astrophysicist Amaya Moro-Martin wrote an opinion piece in Nature, where she mentioned the "flawed evaluation process supported by the European Science Foundation” of the research units that took place in Portugal. ESF reacted, threatening the spanish researcher with a lawsuit. As a result, dozens of scientists have commented on Amaya's article, showing their agreement that the ESF evaluation process is flawed and asking ESF to sue them as well. Dave Fernig, a biochemist from the University of Liverpool has published an open letter to Dr. JC Worms (the ESF official that contacted Amaya Moro-Martin) considering the letter to Dr Moro-Martin as an act of pure cowardice. Thiago Carvalho, an immunologist based in Lisbon wrote several blog posts, one of them saying about ESF that "They are a company providing a product, and they are only doing what any company would do in such a case." Retraction Watch, one of the most important science blogs, has contacted Moro-Martin, that stated that "she had been asked by Nature not to comment until they had looked into the issue". On twitter, several posts have been published, including one from the british science writer Simon Singh. But there are many others. Here's a collection, but there will be a lot of new ones by the time you're reading this. Briefly, the @esf_news is getting heavy on researcher Amaya Moro-Martín for her World View column in @NatureNews. 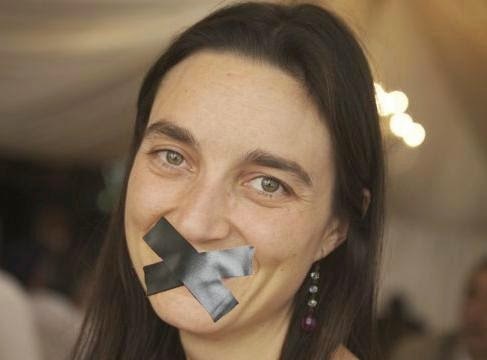 Astrophysicist Dr Amaya Moro-Martin gets legal threat for daring to criticize Eur Sci Fndn http://t.co/igKLmVVjme Whither Freedom of Speech? I'd just like to point out that the quoted from my blog posted here was actually provided by a commentary by another Lisbon based immunologist, Dr Jonathan Howard. 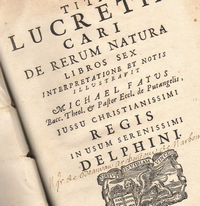 Thanks to David and De Rerum Natura for breaking and covering this story. Comment thread at Nature indicates that at least one collaborator of the ESF is withdrawing his services as consequence of their attempt at legal bullying. I would like to point out that this commenter, identified as Mark J. van Raaij, and on the same page, Dr Vasco Barreto make a very important point: you do not have to agree with Dr Moro-Martin's opinion to be outraged by the ESF's behavior. Both commenters defend the evaluation. But they do it in the appropriate form: by being available to present their arguments (on the same page, Ms Jane Swift from the ESF shows how not to do it: by declaring the evaluation great, end of story).